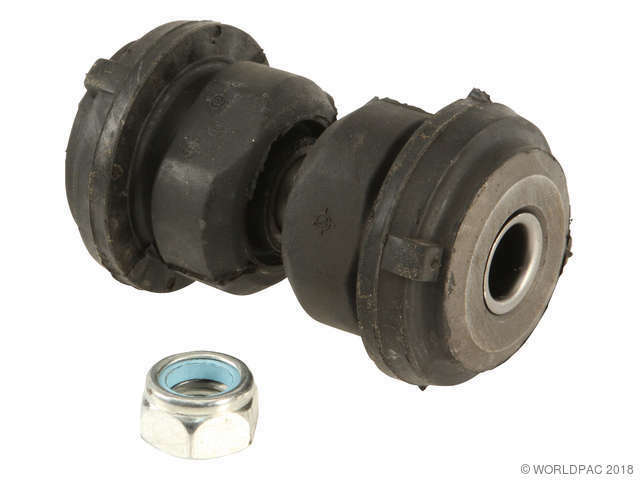 We stock Control Arm Bushing Kit parts for most makes, including Acura, Audi, BMW, Buick, Cadillac, Chevrolet, Chrysler, Dodge, Ford, Freightliner, GMC, Geo, Honda, Hummer, Infiniti, International, Isuzu, Jeep, Lexus, Lincoln, Mazda, Mercedes Benz, Mercury, Mini, Mitsubishi, Nissan, Oldsmobile, Plymouth, Pontiac, Porsche, Ram, Saturn, Suzuki, Toyota, Volkswagen, Volvo. Front suspension; lower arm. 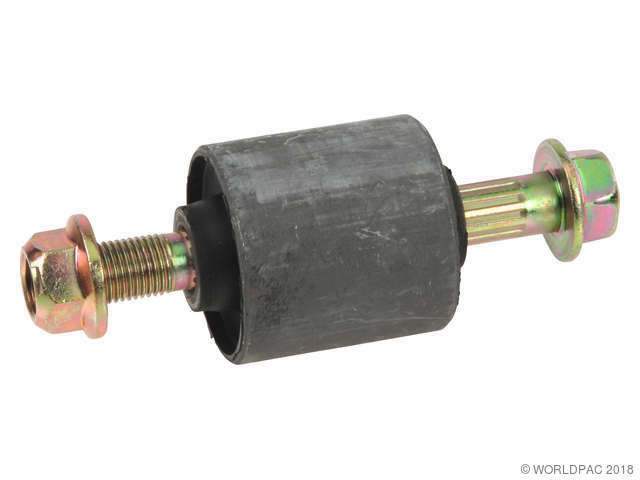 This bushing separates the lower control arm from the lower section of the shock mounting fork. 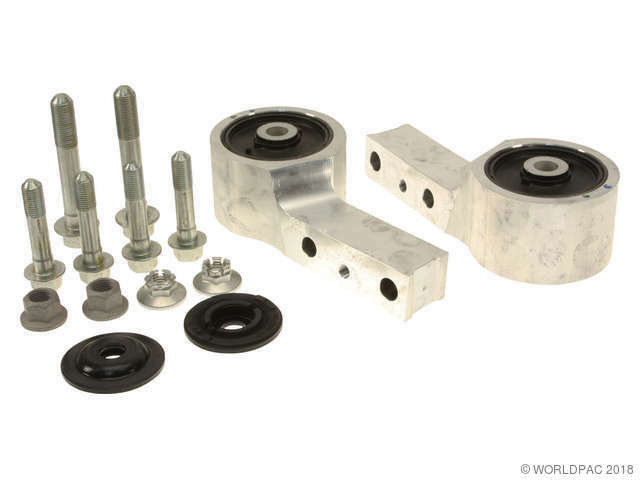 This kit contains 1 control arm bushing, 1 flanged control arm bolt, and 1 flanged control arm nut. 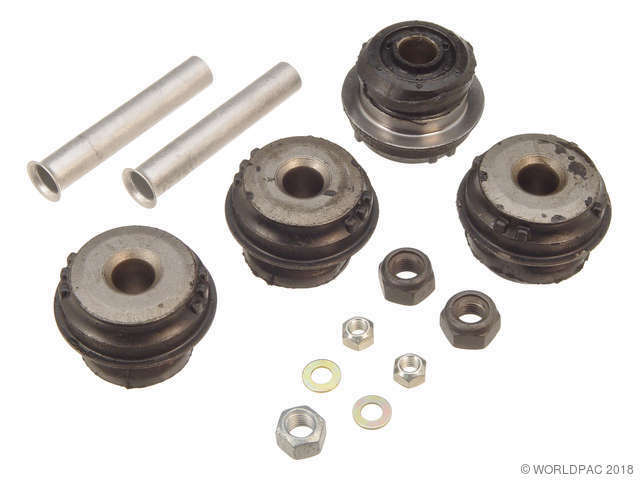 This kit contains 1 spindle bolt, 1 control arm bushing, 1 washer, and 1 nut. 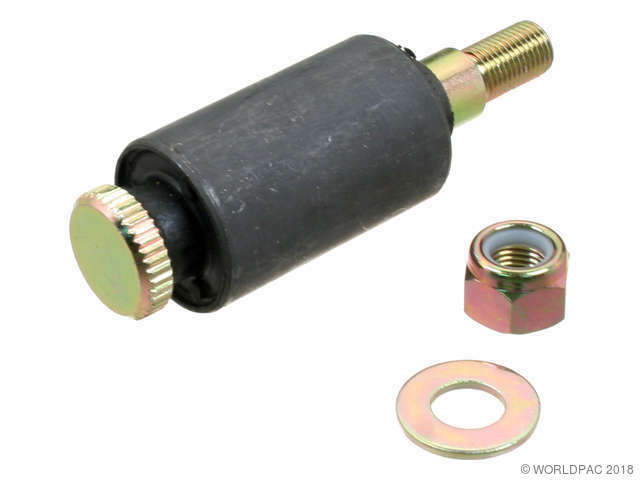 This will replace the inner bushing (inner front on Pathfinder and 4WD Hardbody models) and related components on the lower control arm (left or right side; order 2 kits per vehicle). 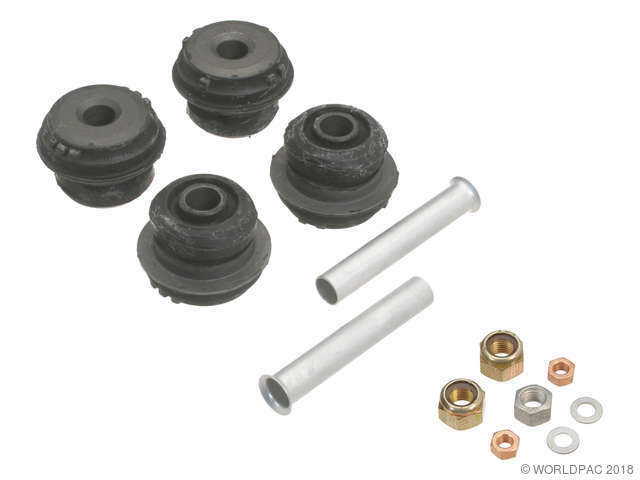 This kit contains the lower rear bushings for both left front and right front control arms. Chas: -B711095, Control arm to frame.